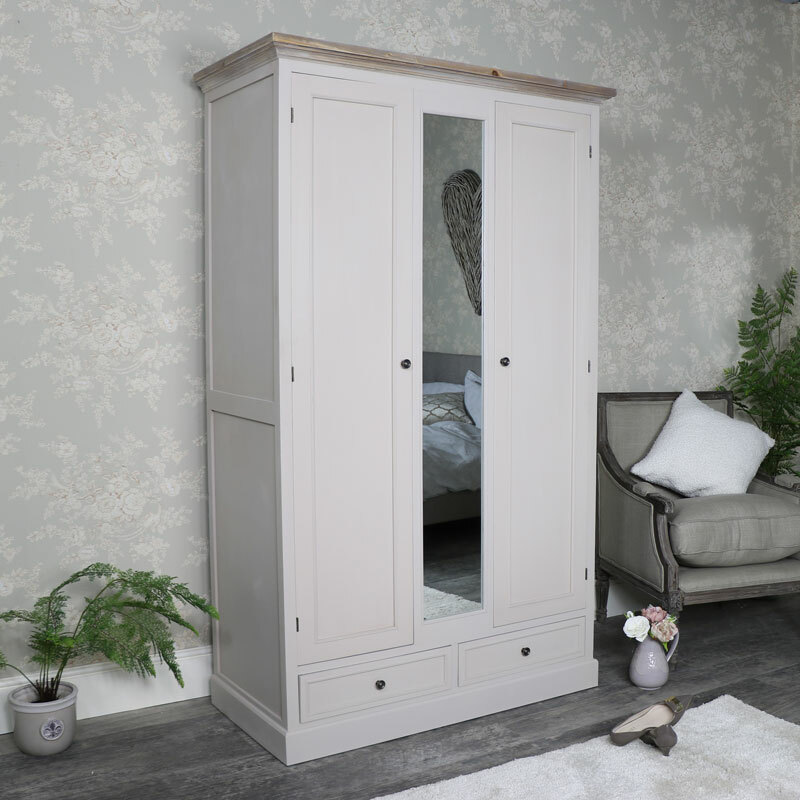 This large double wardrobe is part of our Cotswold Range. 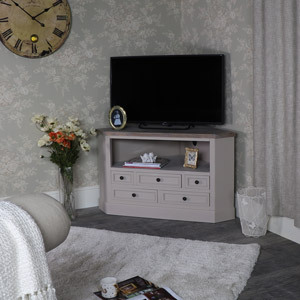 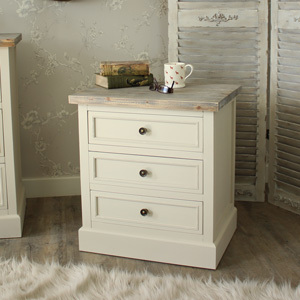 This is a fantastic storage solution for your bedroom as well as being very stylish. 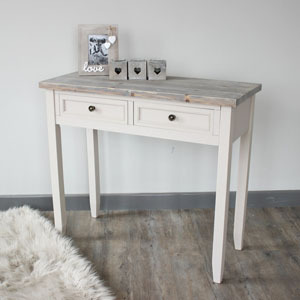 Beautiful rustic design for anyone that loves the country look. 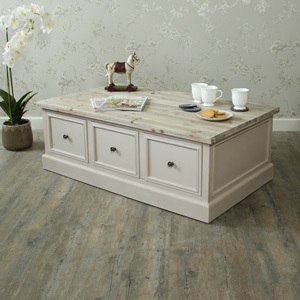 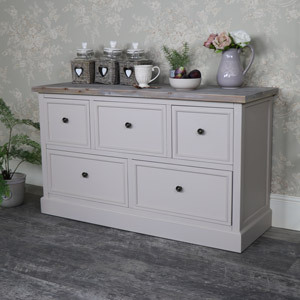 In a matt stone colour with a driftwood style top. 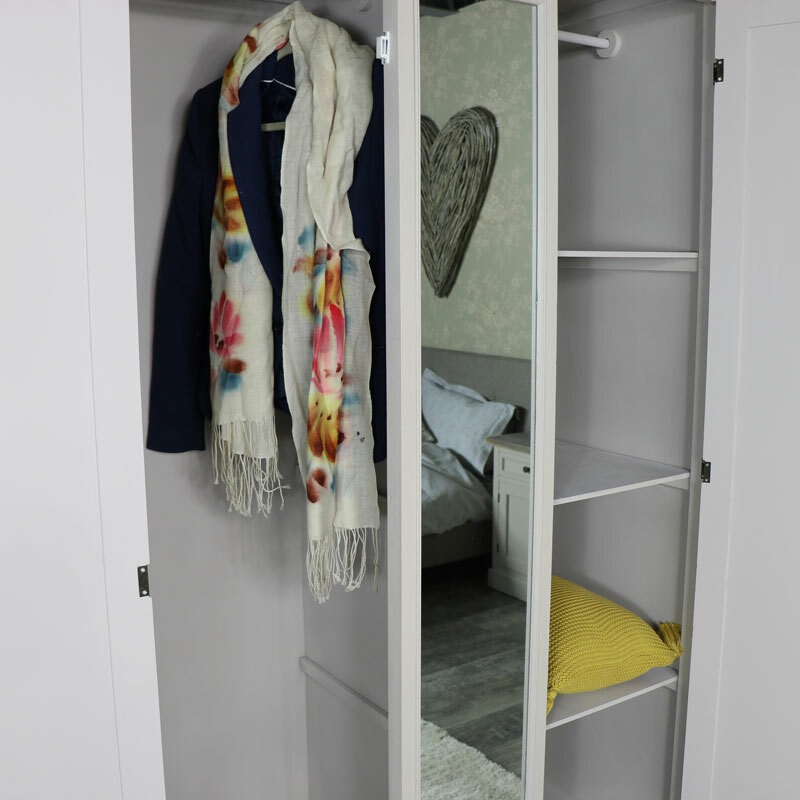 This wardrobe offers great storage with 2 compartments, each featuring hanging rails and removable shelves and 2 drawers at the bottom. 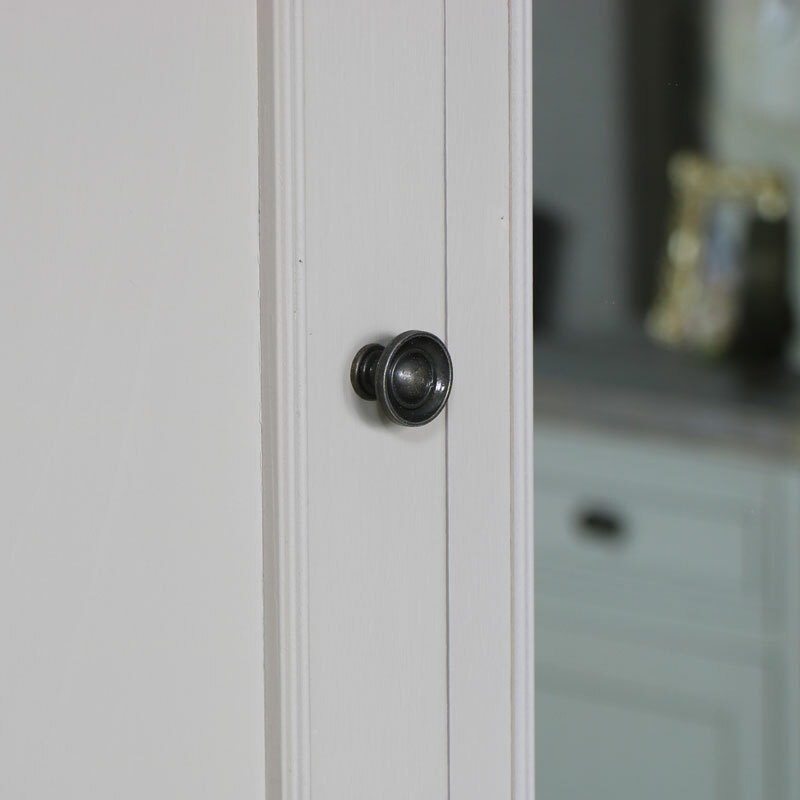 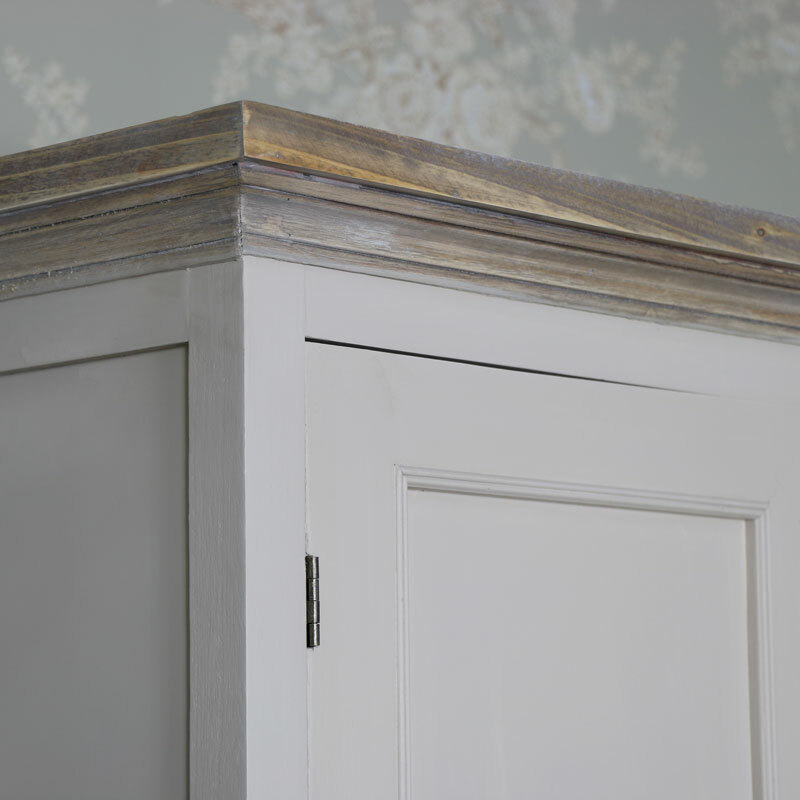 The overall look is finished with a long mirror down the centre of the wardrobe and round brass knobs. 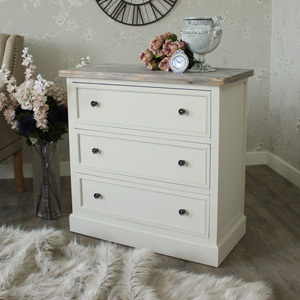 Made from wood and painted in a matt stone colour with driftwood style top. 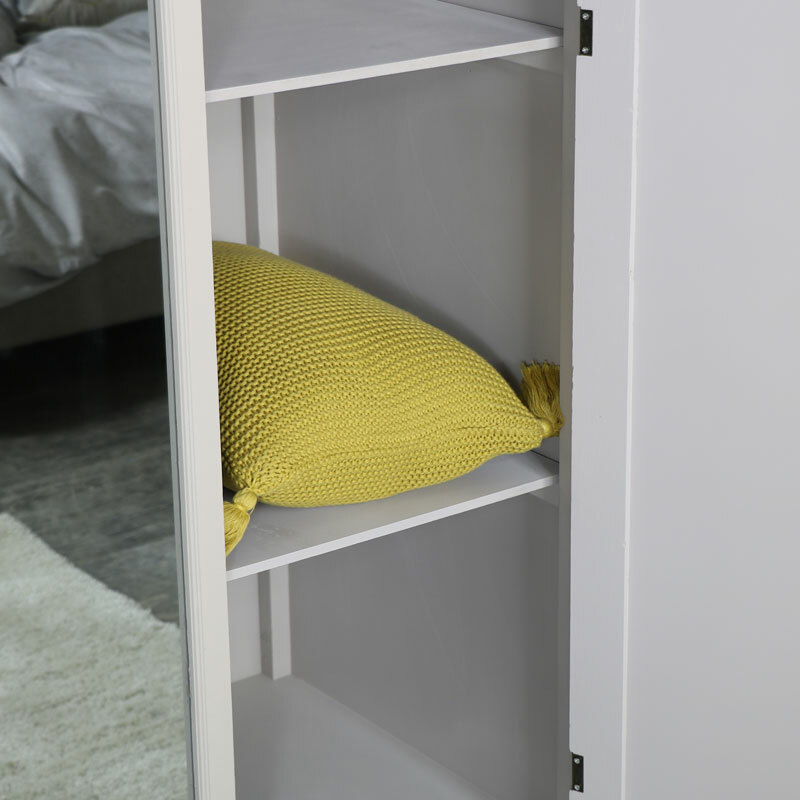 The wardrobe requires some assembly and weighs approximately 45kg. 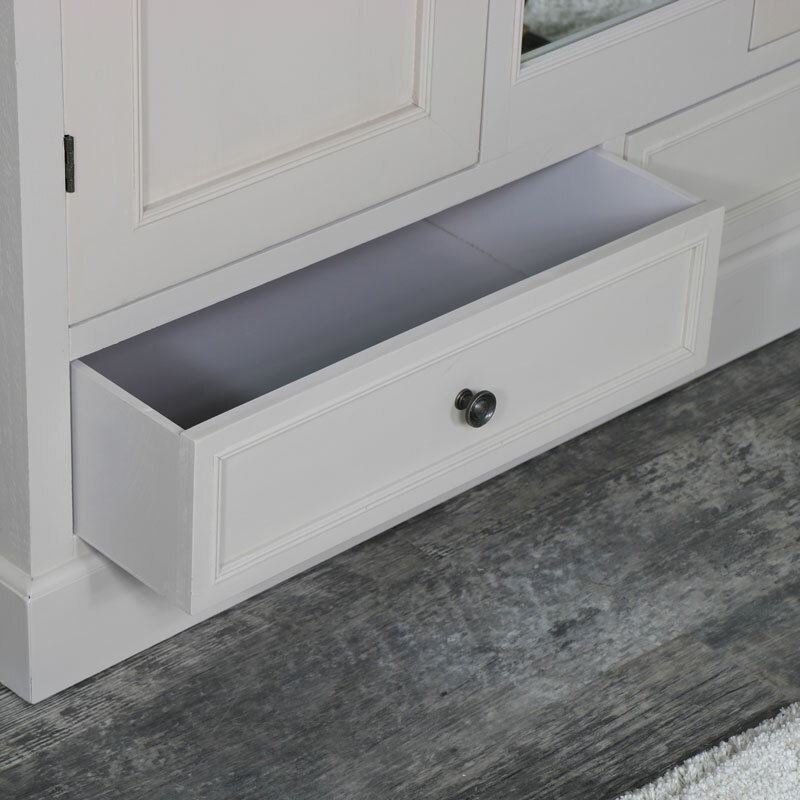 The internal shelves are removable to allow for more storage or more hanging space.